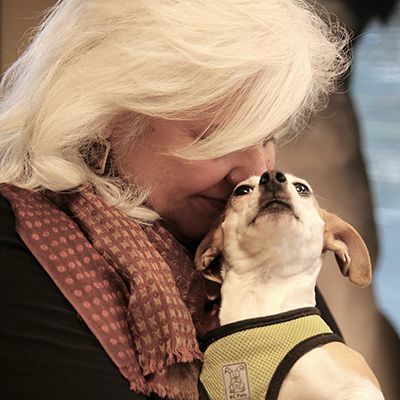 Pleasanton, Calif., November, 15 2018 - Maddie's Fund®, a national family foundation established by Dave and Cheryl Duffield to revolutionize the status and well-being of companion animals, announced today the retirement of Lynne Fridley, Co-Director of Education, as of December 31, 2018. Fridley joined the Maddie's Fund® team as a Field Representative in 2002, working throughout the South, primarily in Alabama, concentrating her efforts on assisting three Maddie's® Pet Rescue Projects. Most recently, as Co-Director of Education, she managed content and program development including the webcast program. "For the last 16 years, Lynne has brought her courageous, positive and adventurous spirit to Maddie's Fund. She was instrumental in building Maddie's® Institute, which evolved into Maddie's® University, enlightening thousands of people in our industry and helping hundreds of thousands of pets receive important lifesaving care," said Dr. Laurie Peek, member of the Executive Leadership Team. Fridley's career in animal welfare spans 40 years, serving in hands-on roles such as Shelter Manager at the Shelby County Humane Society in Columbiana, AL and Executive Director of the Chilton County Humane Society in Clanton, AL. She has acted as President of the Alabama Humane Federation in addition to several terms on the Board of Directors of the Alabama Animal Control Association, where she remains an honorary Board Member. Additionally, she was appointed by the Governor of Alabama to serve a two-year term on the Board of Directors of the Alabama State Board of Veterinary Medical Examiners. During her career, highlights include her instrumental role in setting into motion Spay Alabama, a statewide program with a goal to end the euthanasia of healthy and treatable dogs and cats for the state. She did so in partnership with Esther Mechler, Founder of SPAY USA. In 2001, Fridley was given the Alabama Veterinary Medical Association's (ALVMA) Layperson of the Year Award, presented to a non-veterinarian for outstanding contribution to the advancement of the profession and the ALVMA. Her abiding love for all pets, including her personal pride and joy Casey the Wonderdog, knows no bounds. Her plans for retirement include traveling with her husband Fritz. A group on Maddie's® Pet Forum has been set up for colleagues and friends to leave their comments and wishes.